Sedibeng College provides you with a wide variety of opportunities. Increasing your knowledge by making use of our many NC(V) and Nated courses, you can have a successful career. We offer courses to suit anybody's interests and talents, from technical engineering study programmes, to excellent beauty courses. Our staff are all experts and qualified in the specific learning area, and will make sure that you receive the absolute best training and knowledge possible. 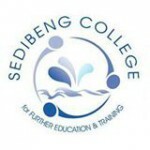 Sedibeng College provides you with a wide variety of opportunities. Increasing your knowledge by making use of our many NC(V) and Nated courses, you can have a successful career. We offer courses to suit anybody's interests and talents, from technical engineering study programmes, to excellent beauty courses. Our staff are all experts and qualified in the specific learning area, and will make sure that you receive the absolute best training and knowledge possible.